The combined figure for pupils achieving the ‘Expected Standard’ in Reading, Writing and Maths was 86% – this was well above the National Average of 61% (+25%). Well done Year 6! Figures for progress will be released by the Government in the Autumn Term, however, we are predicting excellent progress figures – pointing to the fact that at St Joseph’s, significant numbers of our pupils make more progress than pupils nationally with similar starting points. It must be stated that these results represent much hard work, commitment, dedication and effort on the part of the children, staff and families. 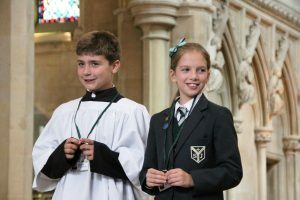 School leaders work continuously and tirelessly to monitor, track and develop pupils’ knowledge, skills and understanding so they can reach their full potential (‘Through Christ, we achieve our Personal Best’). We are all very proud of Year 6 and what they have achieved. They focused; they were positive and they developed a ‘growth mindset’ approach to their learning – all these factors contributed to their success. SATs Tests were taken by Year 6 pupils in May 2016. The new, revised tests were harder tests this year, reflecting more difficult National Curriculum expectations that have been set by the government. ‘This year’s results are the first to be released following the introduction of a far more rigorous curriculum in 2014 that raises the bar in terms of expectations of young people’s mastery of literacy and numeracy, bringing our primary school curriculum in line with the best in the world. Today’s results are not comparable to test results from previous years which were under an entirely different system of assessment. Levels have been dis-applied and pupils’ achievement is no longer reported using levels or APS. Children achieve a raw score (the actual marks that they receive) which is converted to a scaled score. A child who scores a scaled score of ‘100’ will have achieved the ‘expected standard’. A child who scores more than 100 will be seen to be working above the expected standard. A child who scores below 100 is seen as working towards the standard. In August 2016, the government notified schools that those children who achieved a scaled score of 110+ would be classed as having achieved a ‘high score’. Progress is calculated in an entirely different way to before. The National Average has been set at 0. The Government’s ‘sufficient progress’ measure is -5 for Reading, -7 for Writing and -5 for Maths. 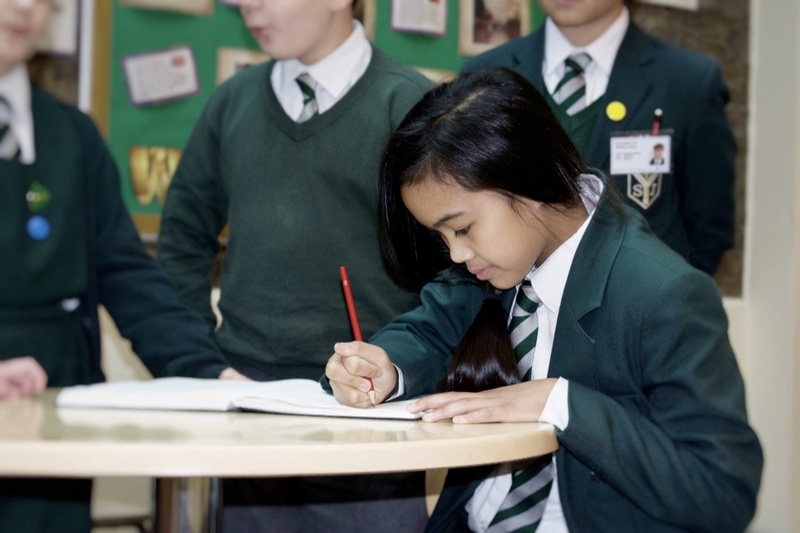 77% of pupils at St Joseph’s achieved the ‘Expected Standard’ in Reading, Writing and Maths combined – compared to a National Average of 53% (RBKC average 69%). 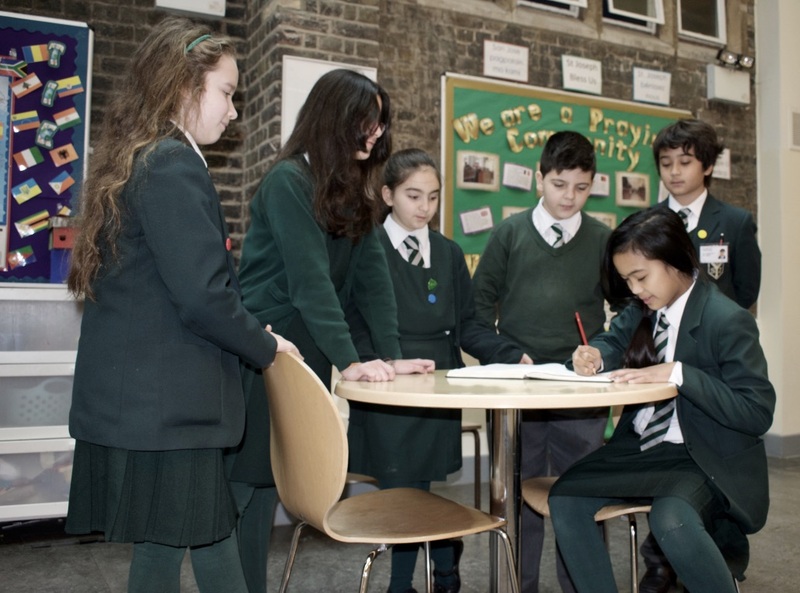 In 2016, St Joseph’s was well above the National Average, the ‘sufficient progress measure’ and the RBKC progress average in all subjects (RBKC being the top performing Local Authority for Primary SATs in 2016). Pupils at St Joseph’s made better progress than pupils nationally with similar starting points in all subjects. Pupils made significantly better progress than pupils nationally in Reading and Maths, putting St Joseph’s in the top 7/8% of schools nationally for value added progress in these subjects. Fischer Family Trust ranks St Joseph’s in the top 4% of schools nationally for progress – a fantastic achievement! + 4 children achieved a scaled score of 109, on the borderline of the ‘High Score’ benchmark. + 6 children achieved a scaled score of 108 or 109, on the borderline of the ‘High Score’ benchmark. For pupils to be assessed as achieving the ‘Expected Standard’ in Reading, Writing or Maths was more challenging this year, reflecting the more difficult National Curriculum expectations that have been set by the government. Staff referred to ‘Interim Assessment Frameworks’ when making their judgements. A ‘secure fit’ approach was expected when making judgements. St Joseph’s received a moderation visit in June 2016 and our results were validated by external Tri-Borough moderators.